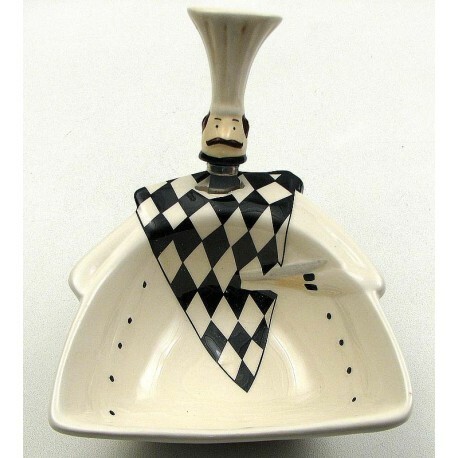 Measures: Ceramic dish with a slot to keep the spreader knife when not in use. Microwave safe and hand wash only. Measures overall 5.25"Wx 4"H x 7"D.